Nothing says summer like a good day drink session. 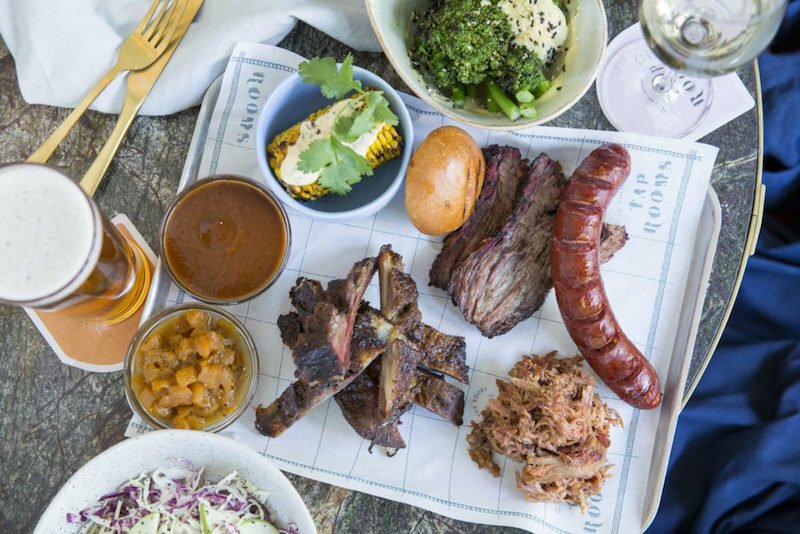 Be it for a long and lazy Sunday session by the beach or a boozy lunch with work mates in the CBD, Sydney is packed with venues primed for day drinking. 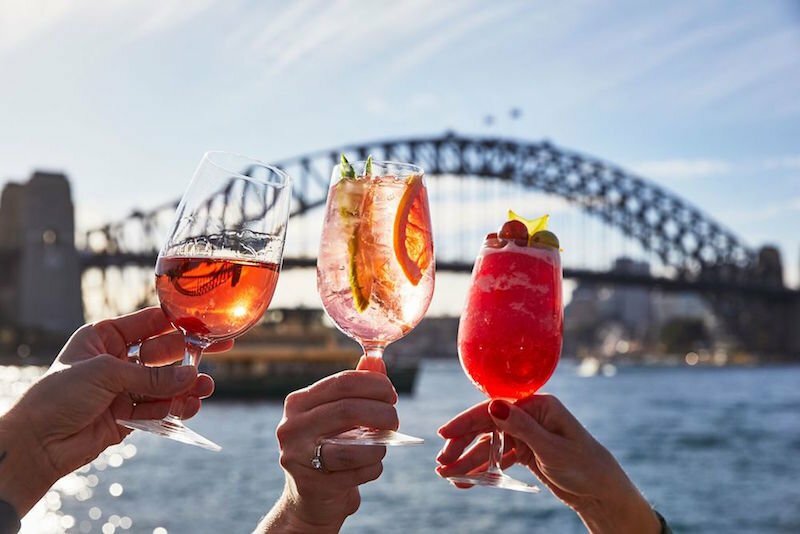 From east to west, city to sea, we have prepared a must visit guide to the Best Places to Day Drink in Sydney. Let’s face it, there is no pub in Sydney with more iconic views than The Glenmore in The Rocks. While other pubs and bars may rely on glitz and glamour, The Glenmore’s old world charm radiates across its multiple levels. No visit is complete without an afternoon Pimms pitcher on The Glenmore’s rooftop overlooking Circular Quay. Local wines antipasto platters make for a good afternoon. Ramp up into the evening with a round of espresso martinis. 96 Cumberland St, The Rocks NSW 2000. Open: Monday – Thursday, Sunday 11am-12am, Friday-Saturday 11am-1am. There is always something happening at The Bucket List. Hugging the shores of Sydney’s beloved Bondi Beach, this bar is all about the relaxed summer vibes. Popping to life with vibrant decor, this bar is the perfect place to day drink rain or shine. Sit inside or head to the waterfront beer garden. With a selection of daily food and beverage specials youc could easily find yourself with a cocktail pitcher in one hand, a chipotle fish taco in the other. Bondi Pavilion, Shop 1, Queen Elizabeth Drive, Sydney NSW 2026. Open: Monday-Tuesday 11am – 5pm, Wednesday – Sunday 11am – 12am. 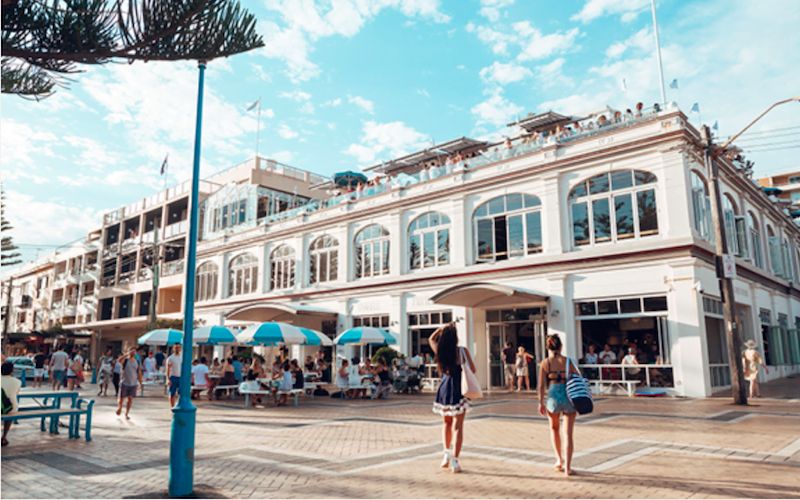 Escape to a better place with a mid-afternoon piña colada at the Californian cool rooftop Socal at Neutral Bar. SoCal will transport you to the beach no matter the time of year thanks to its lush greenery and laid-back seating. With a drinks menu focussed on tequila, be prepared for a lunchtime or afternoon of Latin American indulgence. 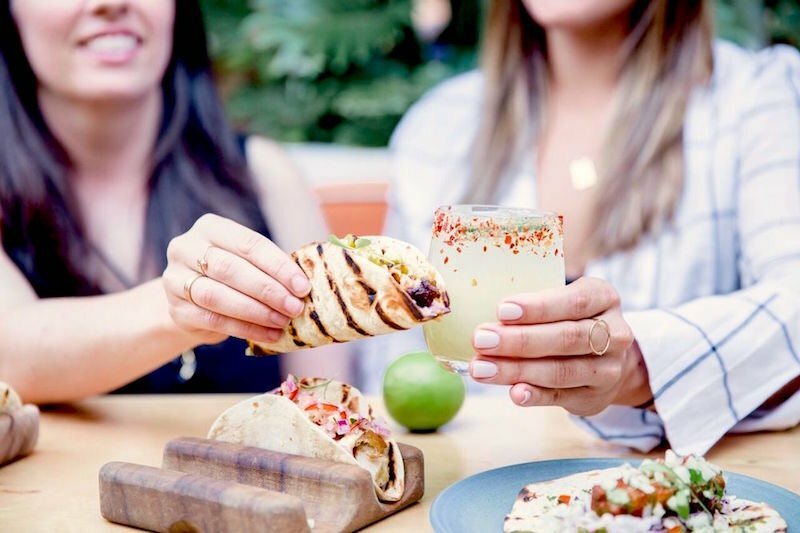 For $20 per person, pair your beverage with a group feasting snack menu which includes guacamole, fries and a choice of taco. 1 Young St, Neutral Bay NSW 2089. Open: Monday – Tuesday 5pm-12pm, Wednesday – Sunday 12pm – 12am. The seaside jewel in Merivale’s crown. 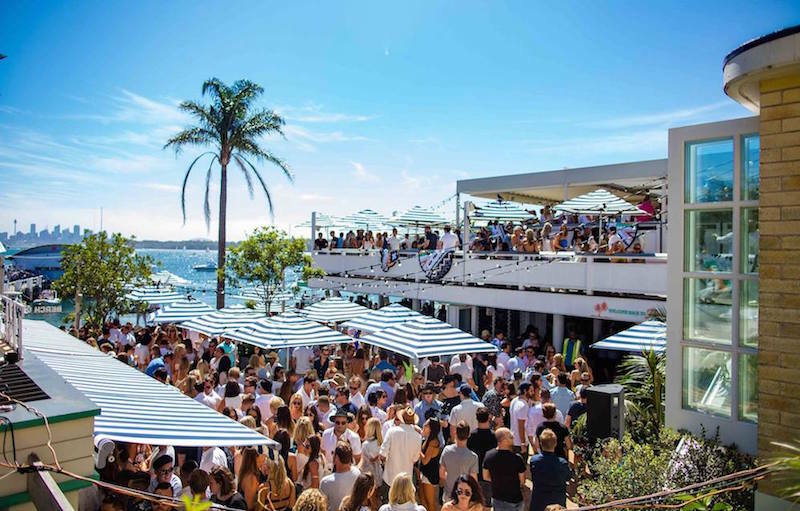 Complete with the beach, a vibrant atmosphere and a variety of food and drinks, The Coogee Pavilion is the perfect Sydney venue to day drink. Spread across three levels, stay downstairs for a wood-fired pizza and glass of vino. Fitted with its very own kids area and table tennis tables, The Pav is ideal for parents hankering for a daytime reprieve. If disco tunes are more your speed, head to the rooftop for a daytime cocktail. If you stop by for a coffee in the morning, why not stay on for a boozy lunch? 169 Dolphin St, Coogee NSW 2034. Open: Monday – Thursday, Sunday 7.30am – 12am, Friday – Saturday 7.30am – 3am. Tucked away behind Clovelly Beach, The Clovelly Hotel is a hotbed of action for young and old. The perfect place for a lazy weekend drink, the beer garden spills inside into the high-ceiling bar. Offering a wide assortment of cocktails, cheap drinks and more indulgent beverages, the drinks list is famed for its take on Aperol Spritz. Combine your daytime beverage with a selection of snacks from the alfresco menu focussed on seafood. Closing no later than 10pm, its evident that The Clovelly loves a day drink session as much as we do. 381 Clovelly Rd, Clovelly NSW 2031. Open: Monday – Friday 12pm – 3pm, 5pm-9pm, Saturday 12pm-10pm, Sunday 12pm-9pm. A dumb-struck tourist or a local Sydneysider, there is no denying the majesty of Sydney’s most well-known bar. Located below the Opera House, thousands of drinkers every year raise their glasses to the glistening Harbour. Celebrating a milestone, or having a beverage before a show, the Opera Bar is the venue for every occasion. Complete your Sunday breakfast with a Bloody Mary or toe tap along to live music in the afternoon. The infectious day drink atmosphere means you’ll want to stay for “just one more”. Macquarie St, Sydney NSW 2000. Open: Monday-Thursday 10.30am-12am, Friday 10.30am-1am, Saturday 9am-1am, Sunday 9am-12am. Escape from the mayhem of King Street to the secluded Courthouse Hotel in the heart of Newtown. Known affectionately by locals as “The Courty”, there is no better place to settle in for a sun soaked pint than the Courthouse’s courtyard. 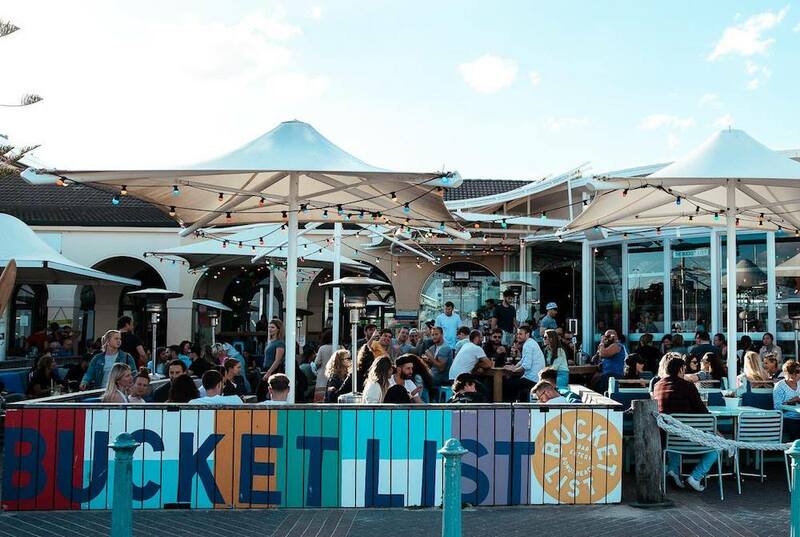 Nodding to Australia’s colourful past with its decor and walls lined with sporting paraphernalia the venue is the ideal arena for a good day drink session. 202 Australia St, Newtown NSW 2042. Open: Monday-Sunday 10am-12am. Once home to Sydney’s oldest colonial hotel, this drinking hole in The Rocks has been reimagined as a functioning brewery and connoisseur of modern Australian cuisine. 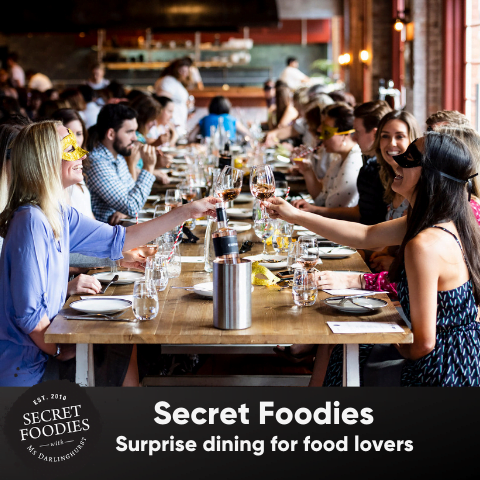 Across three indoor dining spaces and a street side alfresco space, Endeavour Tap Rooms is always filled with corporate long lunchers and beer lovers. With tanks holding over 600-litres of craft beer, be tempted with an afternoon beverage, including a daily rotation of specially brews. 39-43 Argyle Street, The Rocks, NSW, 2000 Australia. Open Monday-Saturday 11am-midnight, Sunday 11am-10pm. Watson’s Bay Hotel will charm you on any given sunny day. Sharing the waterfront with a public park, Watson’s Bay offers a chic outdoor space perfect for a weekend wine. Settle in with a rosé and your choice of European inspired bar bites and day drink on into the night. 1 Military Rd, Watsons Bay NSW 2030. Open: Monday-Wednesday 10am-10pm, Thursday/Sunday 10am-11pm. Friday-Saturday 10am-11.30pm. 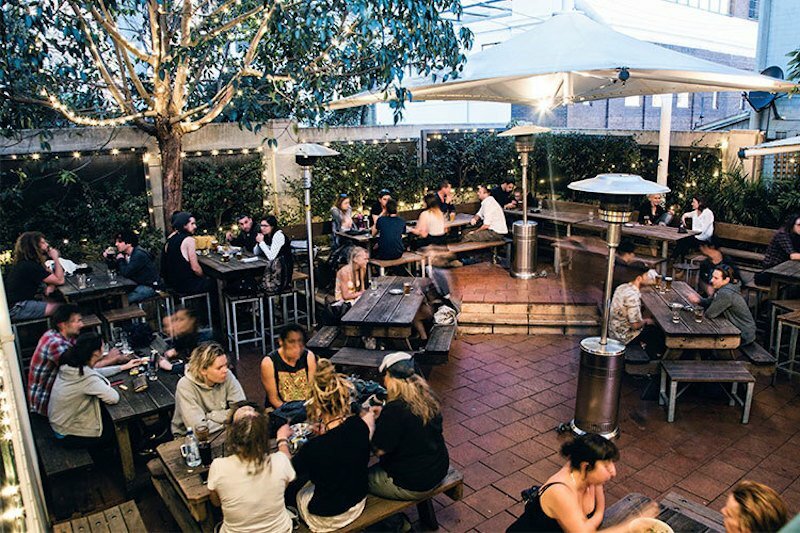 Drinking, dining, dancing: The Eastern in Bondi Junction has everything that you need for a daytime session of fun. 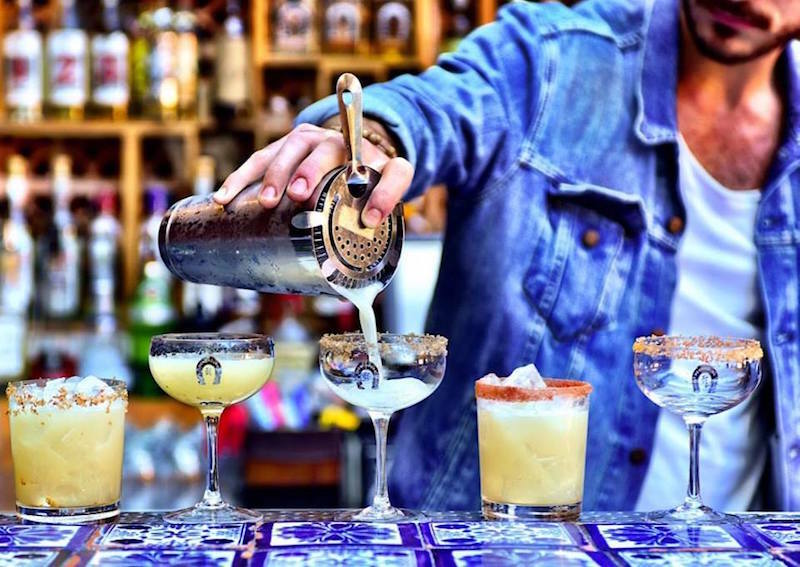 Make your way to El Topo rooftop terrace for a Mexican siesta. With the sun seeping through the retraceable roof, take a seat at a mosaic table and commence you sunlit session of tacos and margaritas. With Happy Hour, offering $20 sangria jugs and $10 margaritas, starting at 4pm daily, intentionally or not, your day drinking will inevitable result in a trip to the dance floor on the levels below. Westfield Bondi Junction, 500 Oxford St, Bondi Junction NSW 2022. Open: Monday closed, Tuesday-Thursday 4pm-10pm, Friday-Saturday 12pm-12am, Sunday 12pm-10pm. 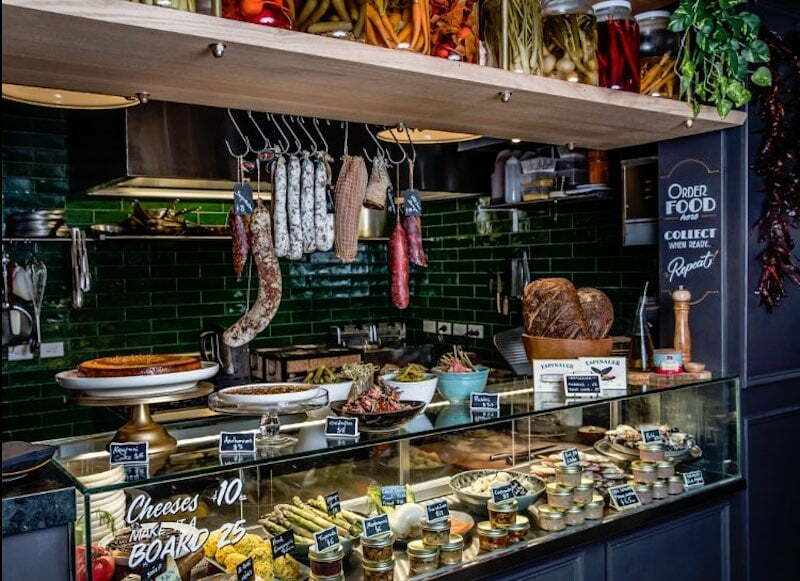 Alfresco dining awaits in this reimagined Darlinghurst terrace with a list of wines and delicious delicatessen cabinet. Black Bottle will allow you to conclude your day and begin your night in style. Starting from 4pm, savour your afternoon cravings with a selection of bites or a cheese platter. Pair your food with a cocktail or a glass of vino from the extensive local and imported menu. Shop 2, 116-118 Darlinghurst Road, Darlinghurst. Open: Monday closed, Tuesday-Saturday 4pm-late, Sunday 4pm-10pm. The Vic on the Park is an inner-west institution for a reason. 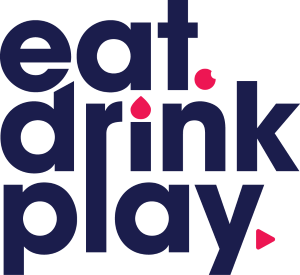 From hearty pub food to craft beers look no further than The Vic for a good day drink session. Whether you are catching an afternoon gig from an up-and-coming local act, or shooting some hoops on the basketball court, The Vic on the Park welcomes everyone. Even four-legged friends are welcome. 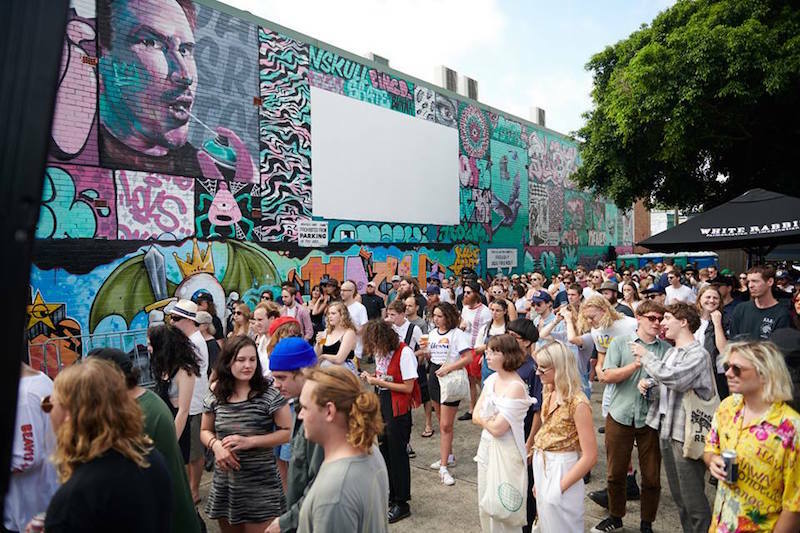 Far away from the boundaries of CBD lockout laws, you can day drink into the night at this local favourite. 2 Addison Road, Marrickville, New South Wales 2204. Open: Monday-Tuesday 10am-1am, Wednesday-Saturday 10am-3pm, Sunday 11am-10pm. Absorbed by the fragrances of the immersive Asian-eating experience Spice Alley, Gin Lane brings a tidbit of 18th Century London to Kensington Street. Painted an emerald green, the intimate townhouse bar is finished with chesterfield couches and, more importantly, 75 varieties of gin. Opening from 2pm on Thursday and Friday there is no better way to conclude your working week than with a G&T. 16 Kensington St, Chippendale NSW 2008. Open: Monday 4pm-10.30pm, Tuesday-Wednesday 4pm-11pm, Thursday-Sunday 2pm-late. Finger lickers brace yourselves, Wings and Tins is the ultimate drunk eating experience. Roll up your sleeves and dive elbows deep into platters of juicy buffalo wings topped with housemade sauces and mustards. Wash it all down with one of the 50 types of tinnies. 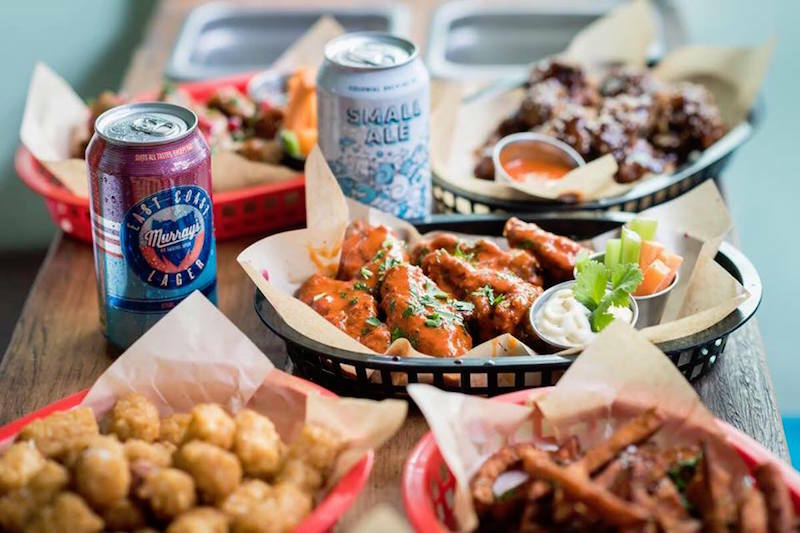 Opening during the day Thursday to Sunday Wings and Tins’ is a good spot to sink beers and eat wings from day to night. 2 Chapel St, Darlinghurst NSW 2010. Open: Monday closed, Tuesday 5pm-10pm, Wednesday 5pm-11pm, Thursday 12pm-11pm, Friday-Saturday 12pm-late, Sunday 1pm-10pm. Wine in the daytime, yes please! 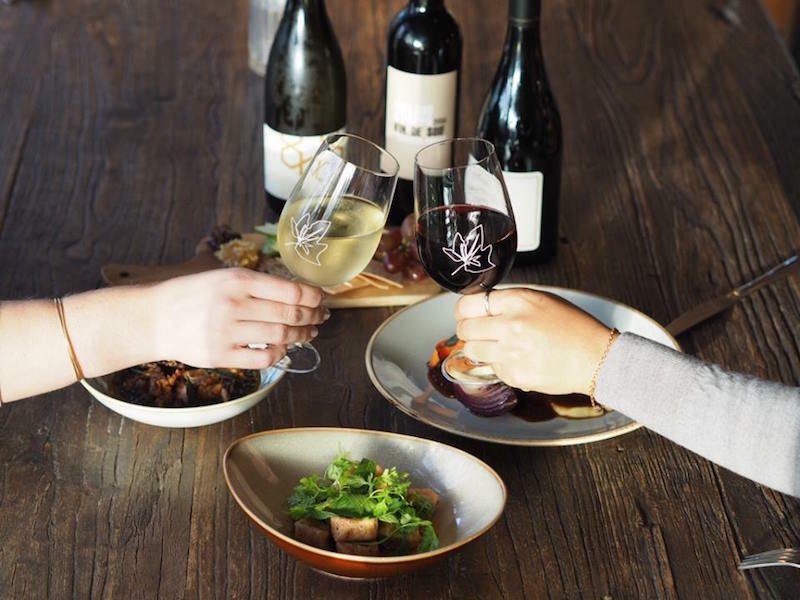 Open from midday everyday, Crown Street’s The Winery encourages you to make the most of every drinking occasion and opportunity. With a glass of wine in hand, lose yourself in the relaxation of this secret urban garden. Finish the week in style with $10 Spritz Sundays, all day. 285a Crown Street, Surry Hills, 2010. Open: Monday-Sunday 12pm-12am. Well lubricated by a session of day drinking, it’s time to head out dancing! Take a look at our guide to the Best Places to Go Dancing in Sydney!